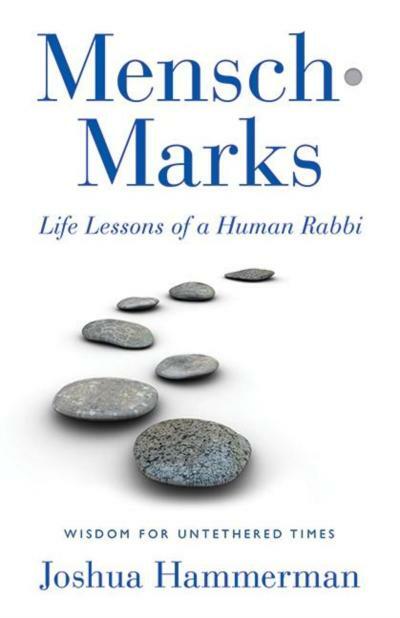 "Finally, a rabbi offers a corrective to ideas about what Judaism is and what it requires in Mensch Marks: Life Lessons of a Human Rabbi (HCI, Apr.). Joshua Hammerman, rabbi of Temple Beth El in Stamford, Conn., and a journalist, writes, “So many Jews say to me, ‘Rabbi, I feel like I am a good person, even though I’m not a good Jew.’ Since when must the two be mutually exclusive? Jewish ritual is vacuous if it does not lead to ethical ends. Judaism, which should instinctively be linked to kindness, modesty and honesty, too often is associated with ritual correctness, ethnic tribalism and an unyielding ethic of holier-than-thou.” He says that being a mensch—a loving human being—transcends any other accomplishment." Want to reprint? Get permissions. A simpler philosophy rooted in Okinawa also addresses the need for meaning. How to Ikigai: Lessons for Finding Happiness and Living Your Life’s Purpose (Mango, out now) is Tim Tamashiro’s introduction to the concept of ikigai, which he defines as “the reason you get out of bed.... It’s what you do every day, that’s meaningful to you and to others.” Tamashiro’s ikigai is to delight; for others it might be to serve, to nourish, to create. He tells readers that by discovering their ikigai and living it, their gifts become an offering to the world. Why Christianity? Why the church? Those are the questions Mark R. Kowaleski tries to answer in Traveling Home: Tracking Your Way Through the Spiritual Wilderness (Church, Aug.). Addressing Americans who are ambivalent about the value of the faith, Kowaleski makes the case for Christianity as the way to answer ultimate questions, writing, “Beyond the way we orient ourselves in place and history we also need to understand our place in the bigger picture of the cosmos.... Where did we come from? Why is there something rather than nothing? Is there a bigger purpose for my life? Is there some thing or someone who brought this all into being?” For Kowaleski—dean and rector at St. John’s Cathedral in Los Angeles—Christianity provides the answers. Finally, a rabbi offers a corrective to ideas about what Judaism is and what it requires in Mensch Marks: Life Lessons of a Human Rabbi (HCI, Apr.). Joshua Hammerman, rabbi of Temple Beth El in Stamford, Conn., and a journalist, writes, “So many Jews say to me, ‘Rabbi, I feel like I am a good person, even though I’m not a good Jew.’ Since when must the two be mutually exclusive? Jewish ritual is vacuous if it does not lead to ethical ends. Judaism, which should instinctively be linked to kindness, modesty and honesty, too often is associated with ritual correctness, ethnic tribalism and an unyielding ethic of holier-than-thou.” He says that being a mensch—a loving human being—transcends any other accomplishment. Finding Religion in Unexpected Places...and Books: Among the array of choices for the spiritually adventurous readers are some innovative paths that may or may not involve UFOs.